There’s no mystery by now that online shopping not only is the real deal for most consumers, but is also increasing from one year to another. I don’t know about you, but I’m always down for an online shop. But what about online catalog shopping? For consumers, shopping catalogs just make the experience so much easier and more fun as you can flip your way through a world of products. On the other hand, they allow businesses to leverage their resources in terms of brand awareness and sales. I feel like shopping catalogs have been here since forever. Well, maybe not forever, but apparently they do go way back to the 15th century when they were first used by Venetian glass makers. Coming to more recent years, I still remember the fashion catalogs my mother used to get and how I would flip through them for hours and never get bored. They just had this way of introducing me to a whole new world of fabrics, color and different cuts where everything perfectly fitted beautiful models. Even though printed shopping catalogs won’t die and have recently been brought back to attention by big retailers such as Barneys, Restoration Hardware, Anthropologie or J. Crew, I think we can all agree that online shopping catalogs are one of the best solutions out there if not the best since most businesses nowadays are dot-com ones. Not to mention they are also cheaper and can reach more consumers faster than their traditional version. 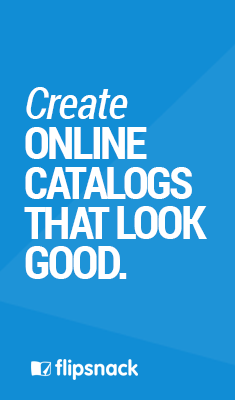 It’s hard to believe that online catalog shopping will ever disappear. I think that maybe the best attribute of a shopping catalog is that not only it presents some products, but it sort of allows businesses to tell a fuller narrative about their brand. No wonder why Anthropologie chose to name their catalog, “Journal”. Nowadays shopping catalogs have upgraded from just simply photos and descriptions to full-grade lifestyle publications, and offer the audience they’re targeted towards a 360° experience. 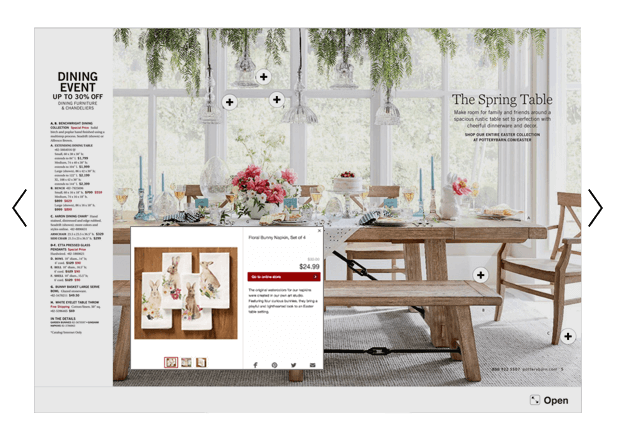 The idea behind a well-designed shopping catalog is that people who flip one, should be totally immersed in the world of products the brand is trying to sell. Therefore, if someone wants to buy a dining table, they might also be interested in a table cloth, napkins, vases or maybe even chairs. So why not present them with a fully furnished dining room? Pottery Barn do, in my opinion, some of the best shopping catalogs as they offer so much inspiration for anyone interested in home decor. 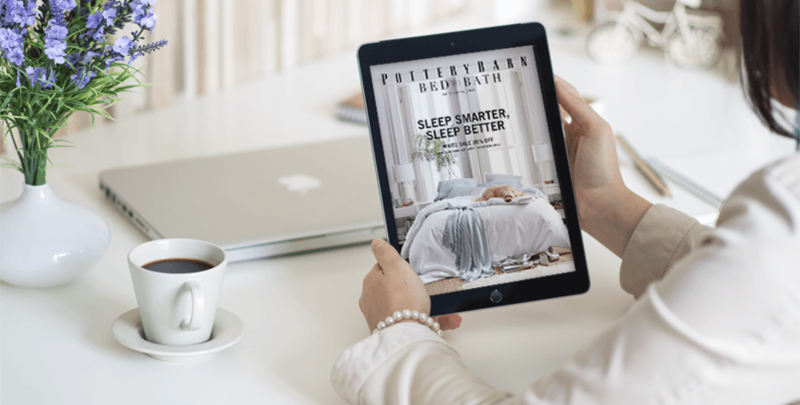 Most of their catalogs feature stylish rooms that showcase Pottery Barn’s furniture, accessories, bedding, lighting, and accessories, all combined in such a smart way that it makes you want to buy everything. And shopping any of the items is just one click away. Maybe the right question should be why not go digital? Yes, print catalogs offer more of a sensory experience, but other than that, online shopping catalogs can provide the same benefits with less costs which also means lower risks. And since online shopping is increasing dramatically with every year, what better way to meet your potential customers than in the online world. 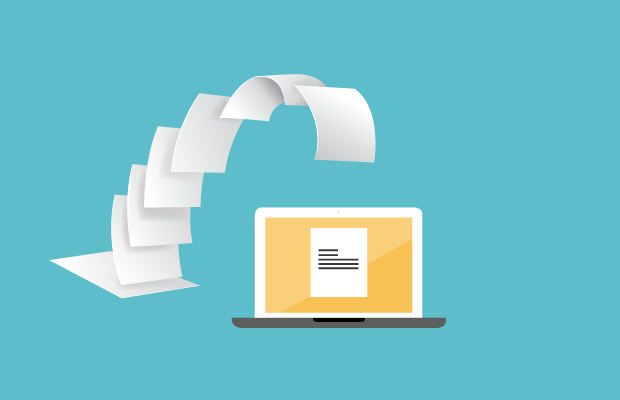 There are numerous platforms that provide options for businesses to create interactive PDFs which allow customers to flip through an online shopping catalog as if they had a copy in their hands. At Flipsnack you can easily create a stylish shopping catalog, either from scratch, using one of our templates or by uploading your own PDF. Add a few shopping buttons and link them to your online shop where people can buy the product. You also have the option to sell the product right inside your catalog, by adding a shopping widget. Selling products directly through the pages of your online shopping catalogs is a smart e-commerce idea, as customers don’t have to leave your publication to go search for a product on your site. They can click and immediately buy what they see. It doesn’t get any easier than that! One of the misconceptions people people have regarding shopping catalogs is that they’re an old fashioned way of doing business. And they couldn’t be more wrong about it. 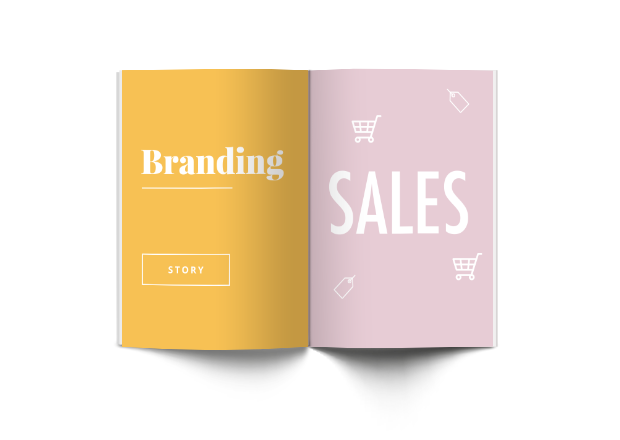 Catalogs are not only a valuable tool to increase brand awareness and tell your “brand story”, but they’re also a powerful asset that can be used to maximize sales, especially when well-integrated with other channels. They sort of make this transition from the offline to the online world and statistics have shown that companies which use catalogs have a better grip on their sales strategy. Because in the end all businesses want the same thing: sales and more sales. And online catalog shopping can help you achieve that. Since the main purpose of a shopping catalog is to drive sales, why not think of your catalog (whether it be printed or digital) as a shop? If we continue with this analogy, the cover of your shopping catalog would be the shop window, so it needs to be appealing but also informative, and let potential customers know what you are selling. 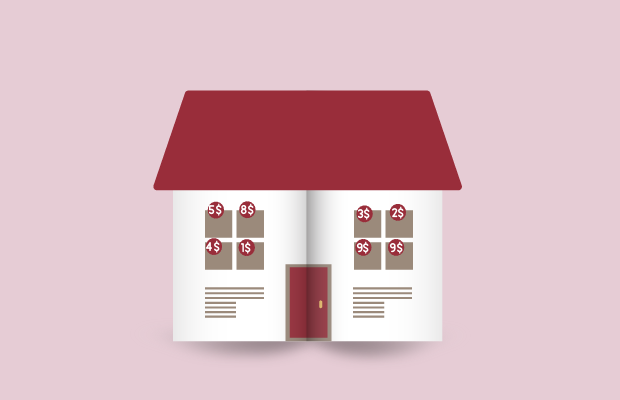 The rest of your catalog should give people the impression that they’re walking in a shop, so you need to make it as pleasant as possible for them, and as profitable as possible for your business. This is why an extra attention to how products are presented, space allocation, quality of photography and layouts is much needed. Make sure to create hotspots for best seller products so that they are easily spotted and bring to attention special offers just like brick-to-mortar shops do. And nonetheless, make the whole online catalog shopping experience easy to navigate through and enjoyable. Happy customers are more likely to be returning customers. Often underrated and questioned whether their usage actually makes an impact, shopping catalogs are maybe now more than ever not only relevant, but also a valuable asset for any business. Printed catalogs have been resurrected these last years by some of the big retailers, however with the current sales and marketing dynamics, online shopping catalogs are definitely gaining momentum.